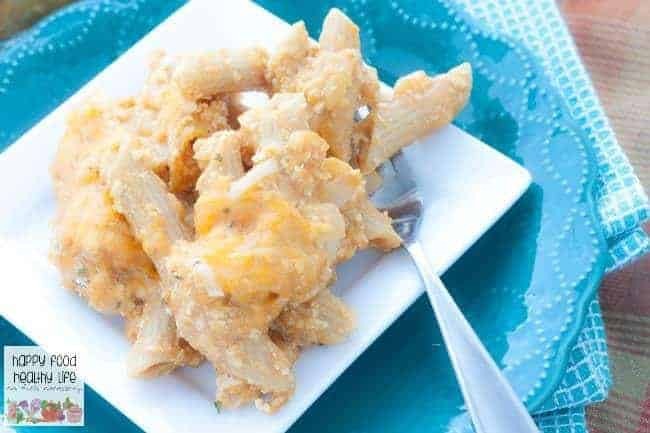 This Smokey Pumpkin Penne Pasta is an easy and healthy weeknight meal that is packed with a ton of flavor but will be on the table in no time! this post contains affiliate links – as always, opinions are my own! Ooh my craziness! Two savory pumpkin recipes in one season? What is going on here! Before this autumn, I honestly had never had a savory pumpkin dish. I had thought pumpkin only belonged in things like pies, muffins, cookies, and anti-christian holiday red cups… I kid! Not, but really, I had no desire to ever try any sort of pumpkin recipe that didn’t include some sort of sweet note to it. Until my wife and I made those insane Savory Pumpkin Quesadillas a couple weeks ago. My palate is completely grown up now! The thing is, I had no idea you could do all this savory stuff with pumpkin. I did know it’s a super food, but I have a feeling that when you throw it in a pie, that changes a bit. Luckily, I have gotten my hands on this aMAZing book by my dear friends, Amy & Natalie of the ridiculously successful blog, Super Healthy Kids. They are experts on all things healthy and have teamed up with a money guru, Malea of Freebies2Deals, to create something that’s more than your average cookbook. 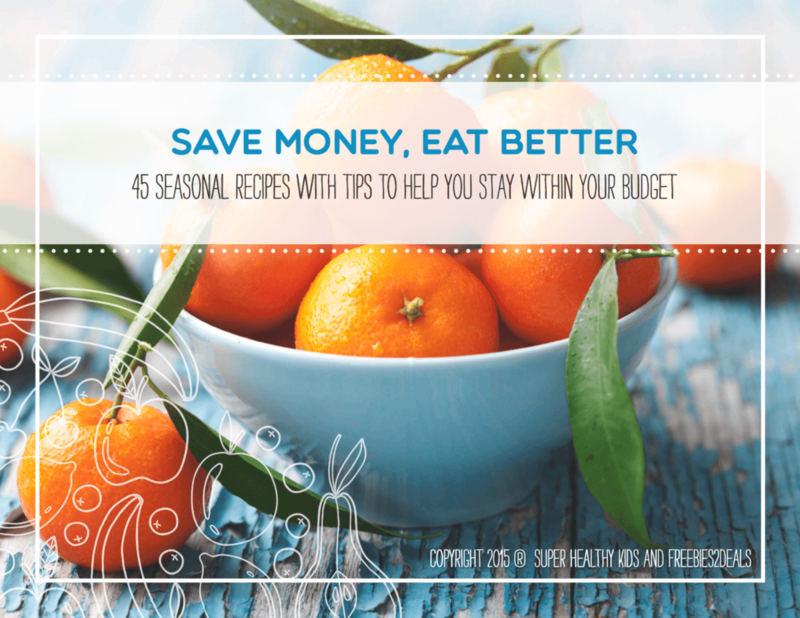 This book will teach you which foods are seasonal, so you’re not spending money on foods that are out of season. And you’ll get a ton of realistic and easy recipes using those seasonal foods so you’re getting the best bang for your buck! – How to keep track of price points with your groceries to know you are always getting a deal. – How to grow herbs indoors– including which ones will thrive and you won’t be able to mess up growing! – 7 fruits and vegetables you can easily grow on your own and are cheaper to grow yourself. – And even how to score produce coupons, if you want to save even more. With this book, I’ll never be able to use the excuse that it’s too expensive to be healthy. And every time I hear those words from anyone, I will absolutely be sending them right over to buy the ebook. Which is exactly what I’m doing right now. Yes, that’s right. I 100% recommend this book to you. Are you trying to eat healthier? Are you trying to do it while on a budget? I’m sure the answer is yes! I have a super special deal for you as one of my favorite readers… If you head on over right now to grab the book, use the coupon code happyfood and you’ll receive $5 off!! That puts the price at under $10. There’s no reason to say no at this point, right?! CLICK HERE TO GET THE BOOK TODAY! When you get the book, this is just one of the delicious recipes you’ll find. 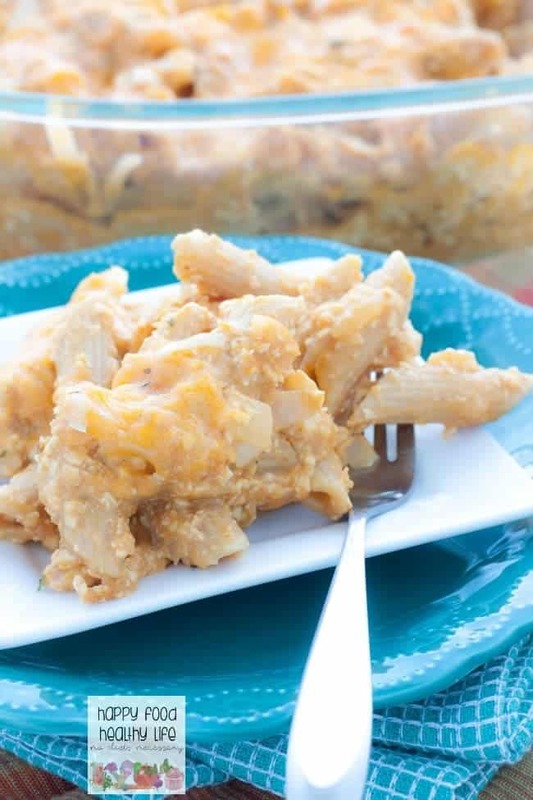 This Penne Pasta is a spin on Amy & Natalie’s Smokey Pumpkin Mac & Cheese, and I am so in love with it. I’ve possibly eaten the leftovers for the last few days, and I’m not sick of it yet! Think pumpkin’s just for dessert? Guess again. It’s tonight’s dinner! Turn the heat down to medium low. Pour in the broth and paprika, stir until smooth, cooking for 3-5 minutes. 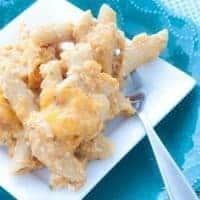 In a bowl, toss the flour and the Gouda cheese together. Then add in all of the Gouda cheese to the sauce. 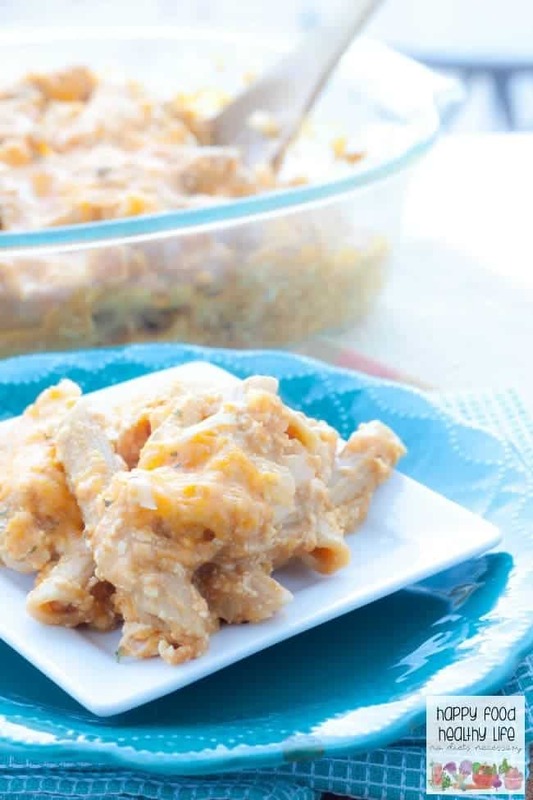 Reserve the 1/2 cup cheddar cheese for later. Stir until melted. Season with salt and pepper to taste. It’s so funny that only a few weeks ago you told me you didn’t like anything savory when it comes to pumpkin 😀 This looks delicious!